Last we saw Tempest, she laid terrified in the snow as a beast from her past towered above her – an Ursa Minor. In this captivating and character building conclusion to the tale, Tempest is faced once again with her past, as she learns the truth of what happened with her childhood friends and the choices they made. Can friendships be mended and long established beliefs change? This issue tells all. Well that was a pretty satisfying conclusion to Tempest’s short story arc. Still fantastic to see that this strong willed character was given her own two issues to expand upon. 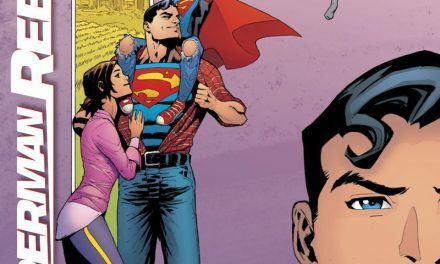 I can see this issue being a for runner for next year’s best comic of 2019, but unfortunately I have become so far behind in my reading that this particular issue was actually released in July 2018. The artwork is fantastic as usual, all thanks to Andy Price. This is a story arc that I would love to see animated for the show. It could even be developed into a short side series, with former villains having their own episodes just to see where they are now, such as Sombra being one I would like to see revisited. Tempest Shadow, first introduced during the 2017 My Little Pony film. Introduced as a villain who seeks to mend the broken horn on top her Unicorn head. She has left her carefree self behind, as well as Equestria, to search beyond for stronger magic. Returning back to her homeland, she brings with her the forces of the Storm King, in order to take control of all the magic in the kingdom. Something that is unique just to this part of the World. Following the fall of the Storm King, Tempest has resided with Princess Twilight in her castle. Now feeling that she has outstayed her welcome, Tempest travelled towards the Crystal Kingdom. Upon meeting Princess Cadence, a pony for whom Tempest does not understand, as Tempest sees her unfit to be an Alicorn, due to her fluffy status as the Princess of Love. Something that Tempest has found no time for. It is not only Tempest that has had troubled times over the years, but her childhood friends Glitter Drops and Spring Rain suffered in their own ways whilst attending Celestia’s School For Gifted Unicorns without their friend Fizzlepop. Much of this is uncovered in this issue. As well as how much guilt Glitter Drops carries following Fizzlepop losing her horn. 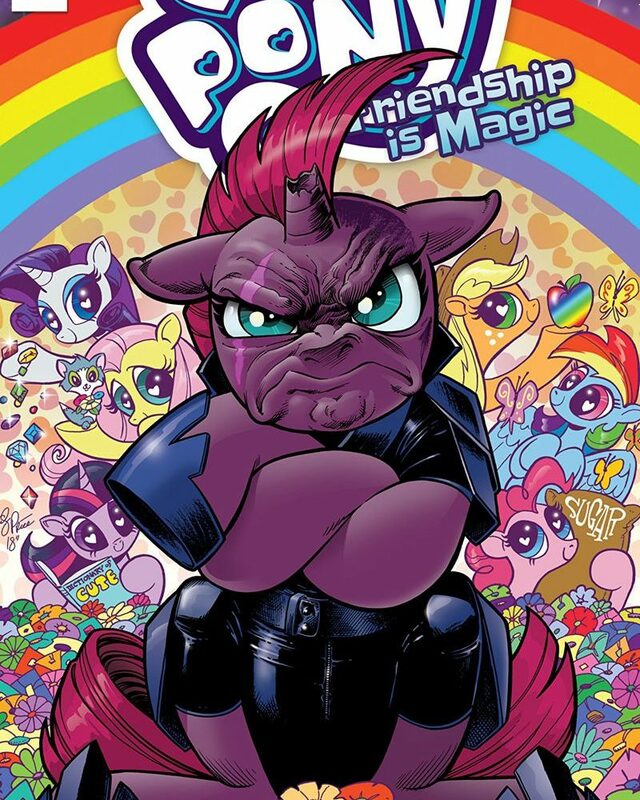 The front cover to this issue is by Andy Price, the illustrator for this story. Featuring a very unamused Tempest sitting on top of a pile of flowers. Pictured behind are the Mane Six, who seem to have supported Tempest since helping them defeat the Storm King. All of whom are surrounded by a heartwarming rainbow, much to Tempest’s annoyance. 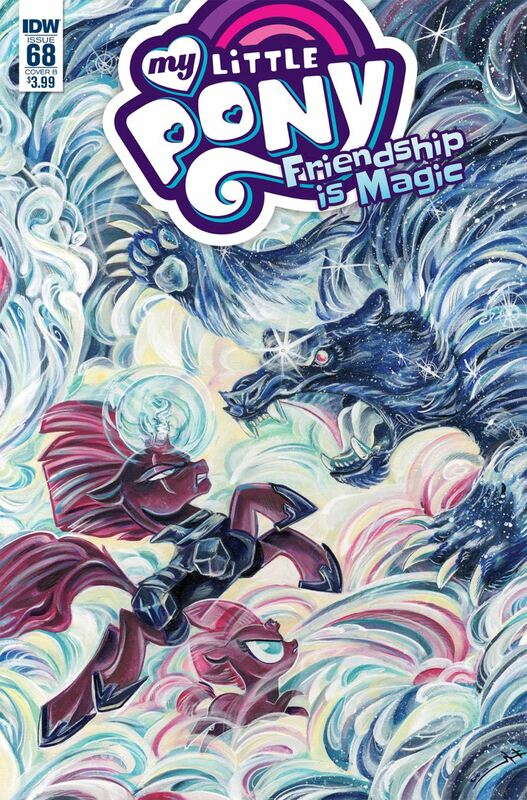 Sara Richard returns once again for the Cover B image, with her engaging dreamlike art style, showcasing both Tempest and a young Fizzlepop Berrytwist taking on the Ursa Minor. We have a newcomer to the Cover RI image, with Mary Bellamy. With an Easter themed version of Pinkie Pie carrying a basket of treats, with Fluttershy’s bunny Angel in the background. Absolutely nothing to do with the story and one that sets a very confusing tone when the next page begins with Tempest being attacked by a giant bear. Thanks to this story arc, Tempest has learned to come to terms with her past, found forgiveness for her childhood friends and has seen another side to why the Ursa Minor attacked her. Although it still does not fix her broken horn, or restore her former Unicorn magic to what it was. Tempest may one day choose to return to her former name of ‘Fizzlepop Berrytwist’, or may in fact return to her hometown and that of her family. Perhaps one day. Certainly a story arc well worth picking up if you can find it, if not, you can always buy the Digital edition online over on the IDW Publishing website.